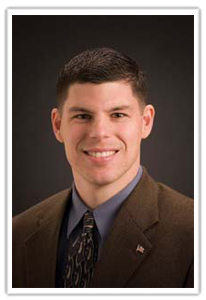 Justin Patchin, PhD is an associate professor of criminal justice at the University of Wisconsin-Eau Claire. He received PhD and MS in criminal justice from Michigan State University and his BS in sociology with an emphasis in criminal justice from the University of Wisconsin-Superior. For the past several years he has been exploring the intersection of teens and technology, with particular focus on cyberbullying and social networking. He travels around the country, training educators, counselors, law enforcement officers, parents, and youth on how to prevent and address the consequences of cyberbullying. Together with Sameer Hinduja, Patchin is co-director of the Cyberbullying Research Center, an online clearinghouse for information on the ways adolescents use and misuse technology. Patchin and Hinduja have co-authored the books, Bullying beyond the Schoolyard: Preventing and Responding to Cyberbullying, and Cyberbullying: Prevention and Response: Expert Perspectives, and School Climate 2.0: Preventing Cyberbullying and Sexting One Classroom at a Time. 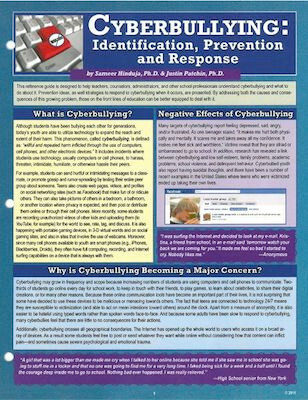 For National Professional Resources, Inc., they have written the laminated reference guide, Cyberbullying: Identification, Prevention and Response.